OMG I promise I will stop posting Manicure Mondays, I'm sorry! 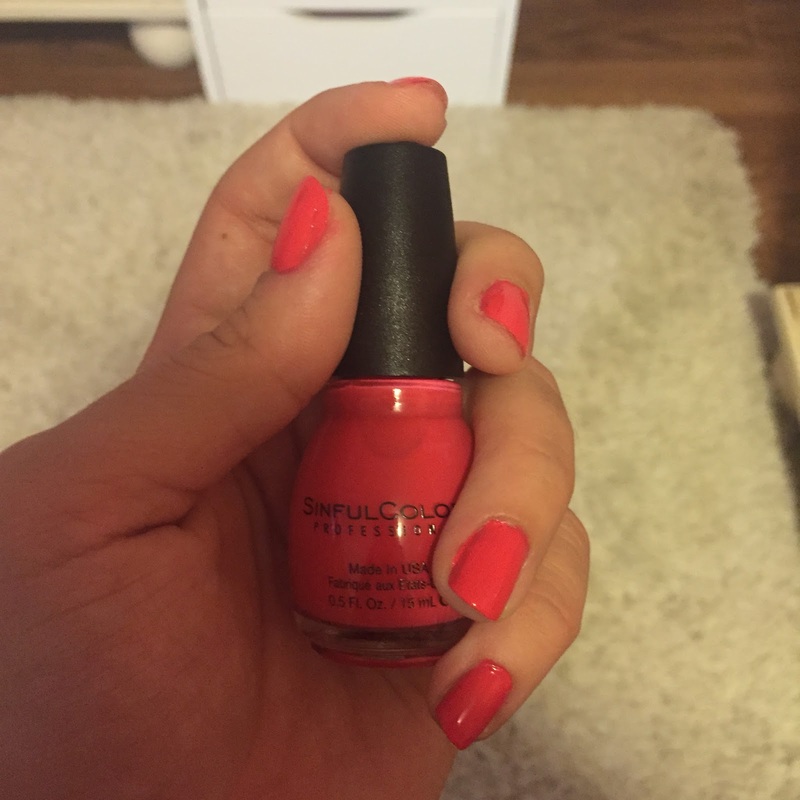 I just keep getting new nail polish and feel the need to blog about them. I also wanted to post an update on last week's Manicure Monday of my new Smith & Cult nail polish. The polish stayed *almost* chip free for a week. I picked at the polish a lot, filed my nails, and bit my nails off so that really is the only reason that the polish chipped. Look at that?! How incredible! My mom had the same experience so I will be purchasing another color very, very soon. Okay so now for what is on my nails today! I will post a blog about this entire "box" but I bought the Target Beauty Box Summer Edition for $5 on Target.com when I saw someone tweet about it two weeks ago. These bad boys are hard to come by and you need to act fast. When I received it, I was BLOWN AWAY. 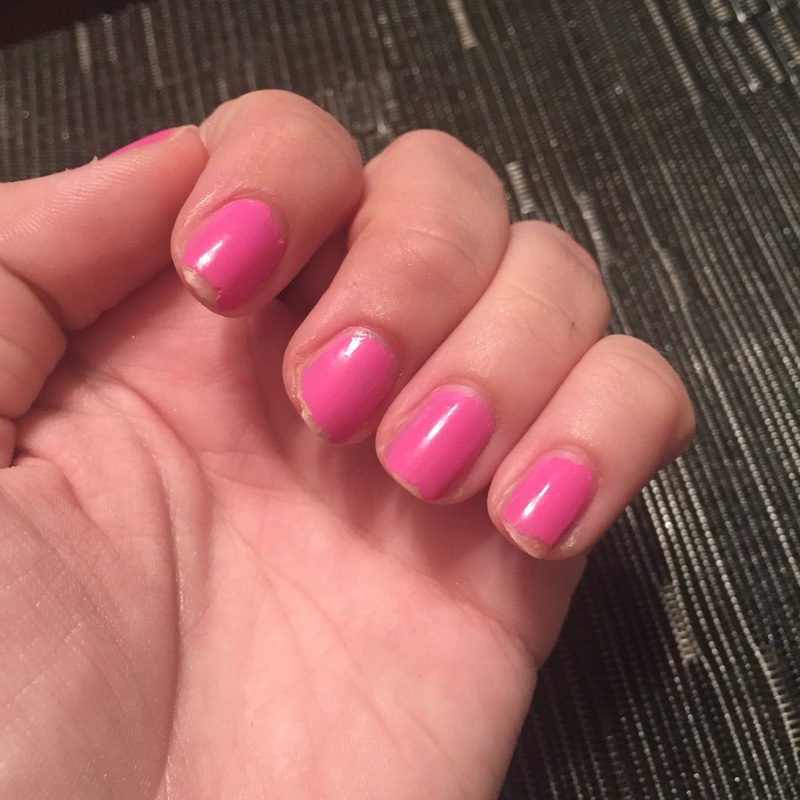 You are going to freak when you see the box but spoiler alert, I received this polish from Sinful Colors in the box and it is the perfect pink, peachy color for summer! The color is called "Thimbleberry" which has to be the weirdest nail polish color I've ever heard. It definitely gives off that neon vibe and can look a little orange in certain light. I'd say it's a peachy, organgy, pink neon color. I've only used one other Sinful Colors nail polish and I remember really not liking it. This one is slightly better. The formula is a little patchy and streaky but after two coats, you're good to go. It didn't smudge onto my nail beds too easily and the brush was fairly easy to control. As I've said before, I'm not too picky about nail polish formulas unless they're god awful and this one was definitely not too bad. Not my favorite but not my least favorite--and I'm willingly to work with it because of the gorgeous color. Have you ever tried Sinful Colors? What's your opinion?